Fur Shui recently traveled to Telluride, Colorado. What a great time with wild flowers everywhere dancing under magnificent waterfalls and streams. Crisp mountain air at over 13,000 ft elevation! 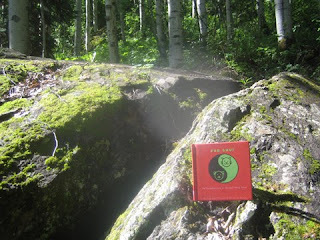 The book took a break on the way to Miner's Gardens, complimenting the balance found in nature with its cover "yin and yang". A nice marmot chuckled when Fur Shui was on the mountainside. 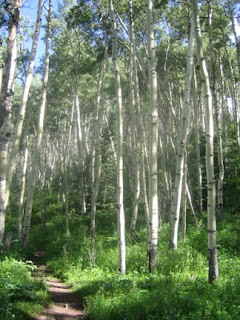 Green, green, green is greeting community, and the close knit network of family found in nature. Feng Shui "form" school is seen in this photo with the two large and "grounded" auspicious "turtle rocks" to rest on. What a wonderful spot to find peace, balance and joy!